Rosalba Rojas Chávez studied Architecture at the Universidad Iberoamericana, graduating as an Architect in 2011. Subsequently, in 2016 she completed a Masters degree in Marketing and Brand Management from the Universidad Anáhuac in Mexico City. Rosalba has always been involved with the media, having worked as a professional model and a television presenter, both in Mexico and internationally, for leading agencies for over 10 years. This has given her insight into how the media and advertising worlds work, enabling her to become skilled at using them in her favour. Bringing together her passion for architectural design with her marketing experience and media, in 2014 Rosalba was invited to join Sordo Madaleno Arquitectos to set up and lead the Media and Marketing department, assembling an effective and committed team. Her work includes brand management, the communications strategy for the firm and for each project it is developing, together with the coordination, editing, quality control, presentation, and approval of related communications. Her approach is organic and includes content generation, promotion and monitoring in printed and digital media, community management, CRM, persuasive communication, organization of interviews, cultural exhibitions, trade fairs and conferences, together with participating in leading prizes and global events on design, with the objective of expanding the brand’s positioning in specific spheres. Her team backs up these responsibilities and includes the creation of corporate identities and application of branding to architectural projects as added value for clients. In 2015, Rosalba embarked on a project to compile the original archive of Juan Sordo Madaleno, which involves permanent research into his life and work, the modern movement in architecture, and continual updating of a database on the 80-year history of SMA, during which almost 400 projects have been designed. 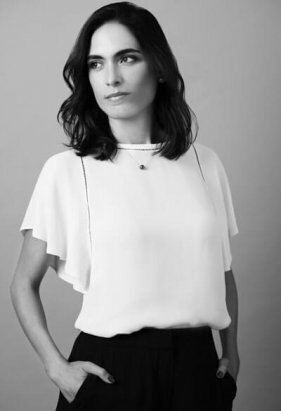 Rosalba previously held a position as Architect and of Media and Communications Director at Rojkind Arquitectos from 2011 to 2014. She has also worked as an independent architect since 2011, designing and developing residential projects in Mexico.